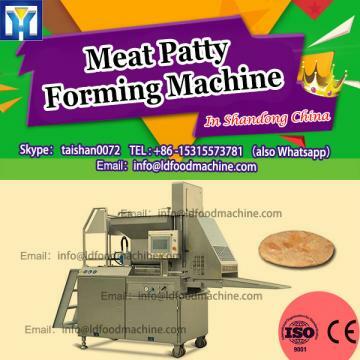 Mini Automatic Hamburger Processing line can automatically finish the forming, battering, flouring, crumbing procedures. This line shares the reputation of high automation, mini size and easy operation. End products include popular hamburger, chicken nuggets, chicken or beef steak, pumpkin or potato Patty etc. It is becoming the most ideal choice for snack bar, distribution center and food factories. Hamburg Forming machinery is also named Hamburg Patty machinery, Hamburg Forming machinery,Hamburg Meat machinery, Hamburg Patty Processing Line, Mini Automatic Hamburger & nuggets Processing Line.